I’m so pleased that you have finally found a good piano teacher. Sometimes it takes a while to locate someone suitable. I’m thrilled you love my book….thank you and very best wishes for your future piano studies. 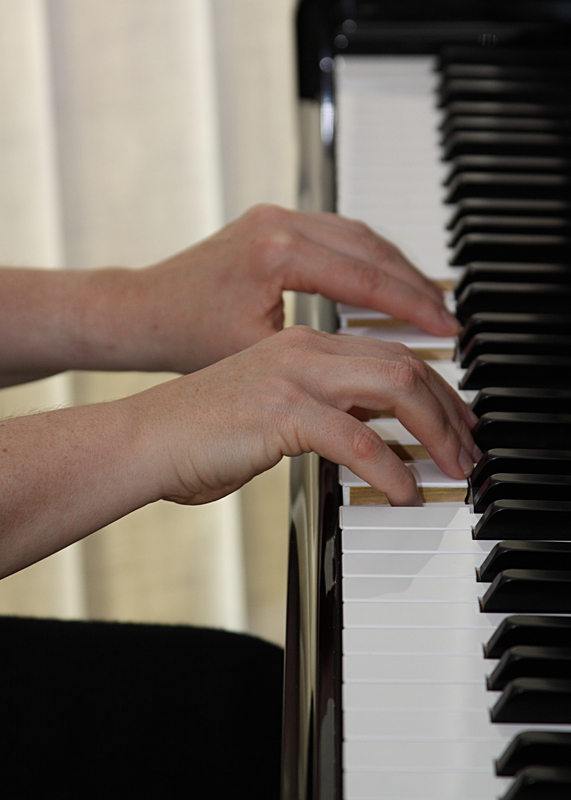 Hand position is a key problem that I find with many of my student’s, especially the new piano players. I myself play alot of golf and teach piano. The fingers being very important to both. Is there any forearm/finger warm ups or exercises that you recommend for the new piano players? I try to incorporate relaxed breathing and stretching to anyone becoming to “rigid” with their fingers. Breathing techniques are always useful. I try to encourage students to play a few warm up excercises at the start of their practice sessions. Depending on a student’s level….Czerny studies and Hanon’s can make good warm up exercises too. Or just slowly practising scales and argeggios can be helpful as well. It all depends on how these exercises are taught rather than just playing them through though. Which one do you recommend for the true newbie student, the Czerny or Hanons or both? I am trying to get a set routine with my son who is just starting his piano lessons and I am up in the air about which way to go . I appreciate it . As a guitar teacher for the past 20 years, I always make my newest students do a number of finger exercises when they are at home by themself. I feel that working with clay, doing fingers exercises or other things that make them use the finger tendons/muscles they normally don’t use. Not sure how well these translate to piano players, but I’m sure they don’t hurt.